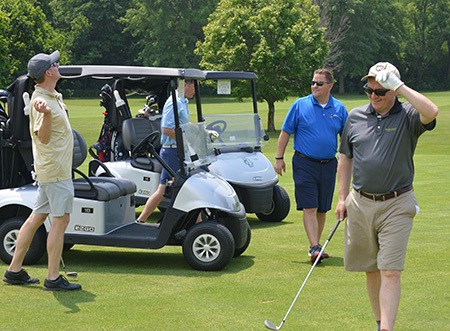 The 58th Annual CE Open was held on Friday, June 8, 2018 at Coyote Crossing Golf Club in West Lafayette, where we saw more than 70 golfers hit the links. Many thanks to our sponsors, and to everyone who joined us. We hope to see even more of you at next year's event! The 58th Annual CE Open was held on Friday, June 8, 2018 at Coyote Crossing Golf Club in West Lafayette, where we saw more than 70 golfers hit the links. Many thanks to our sponsors, and to everyone who joined us. We hope to see even more of you at next year’s event! A photo album from the event has been posted on the Lyles School facebook page. If you would like a higher resolution version of any of the photos, please contact Kathy Heath at heathk@purdue.edu.